Enthusiasts, start your drooling: On Tuesday, Samsung launched the first solid-state drive packing the company's cutting-edge 3D V-NAND flash memory. Early reviews suggest the technological tweaks in the Samsung 850 Pro SSD line indeed deliver face-melting levels of performance. The secret sauce is the "V" in "V-NAND," which stands for "vertical." Whereas traditional NAND cells are laid out on a horizontal plane, Samsung's V-NAND stacks 32 layers of flash cells atop each other. The company claims three advantages for the 850 Pro line from V-NAND technology: twice the durability of normal SSDs, for one—Samsung offers a warranty good for ten years or 150TB of writes with these drives. V-NAND also offers a claimed 20-percent boost in power efficiency. Finally, Samsung promises enhanced performance, with claimed sequential read/write speeds up to 550MBps/520MBps. Samsung sent 850 Pro SSDs to the enthusiast-focused reviewers at AnandTech, Hot Hardware, Tweak Town, and Tom's Hardware, and the early verdict was unanimous: The 850 Pro line's speed, power efficiency, endurance, and even its software features surpass the competition's. Though enthusiast SSDs from competing brands put up a decent showing against Samsung's latest, the 850 Pro line was the clear victor in the majority of the benchmark tests run by the four sites. The consensus seems to be that the 850 Pro line does about all that can be done within the limits of the SATA 3.0's 6Gbps interface. We'll have more concrete information about that soon—one of these V-NAND-boasting beasts is being tested in the PCWorld labs right now. The supercharged performance and endurance comes at a price premium, though. Samsung's 850 Pro line will be available in 128GB, 256GB, 512GB, and 1TB sizes, with prices ranging from $130 for the 128GB model all the way up to $730 for the 1TB version. 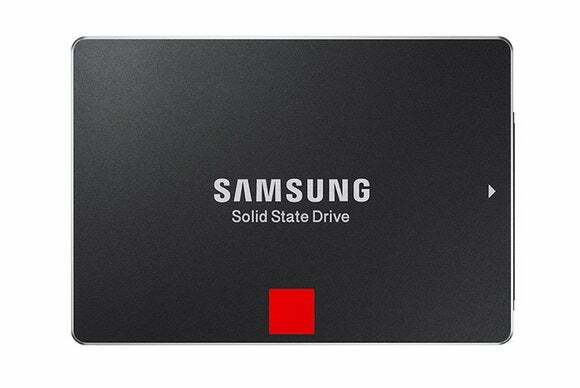 That's a sizeable premium over competing SSDs, including Samsung's own 840 Pro series. But hey: Riding the bleeding edge of technology never comes cheap. Look for PCWorld's review of the Samsung 850 Pro to land soon.